Enryaku-ji Temple, the headquarter of the Tendai sect of Buddhism, is located on Mt. Hiei, and getting there is not the easiest thing in the world, but as the UNESCO World Heritage temple is quite amazing and just huge, you should not miss it because of this. There are many ways to get to the temple, you can hike up the mountain (prepare a lot of time if you choose this route), or you can take a bus to the temple from Kyoto Station (read more here by clicking on details), or you could do as we did, and take the most scenic route up the mountain by taking the Eiden tram line, cable car, ropeway, and bus. 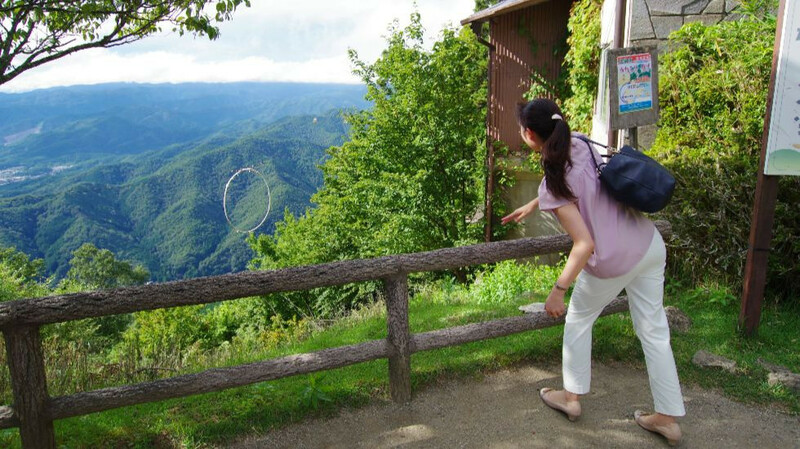 There is also a cable car on the Shiga prefecture side of Mt. Hiei known as Sakamoto Cable Railway, but this time we’re going to take a look at how to get to the temple from the Kyoto side. First things first, you have to take Keihan to Demachiyanagi Station, the starting point of our trip. 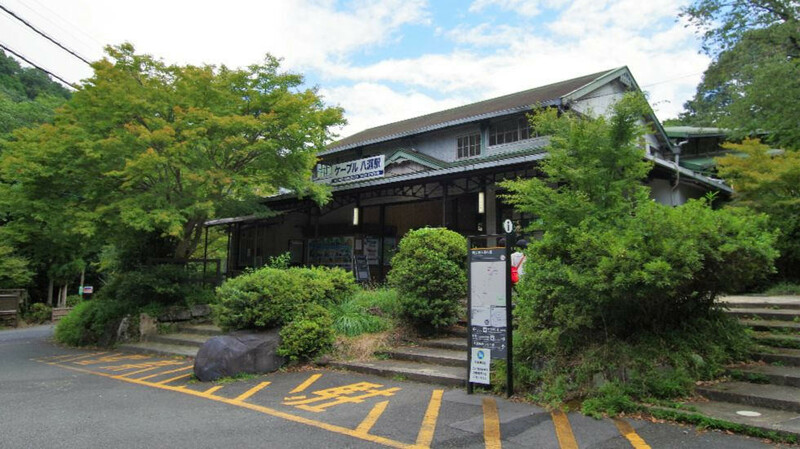 Keihan’s Demachiyanagi Station is the place where we change to the Eiden station of the same name. 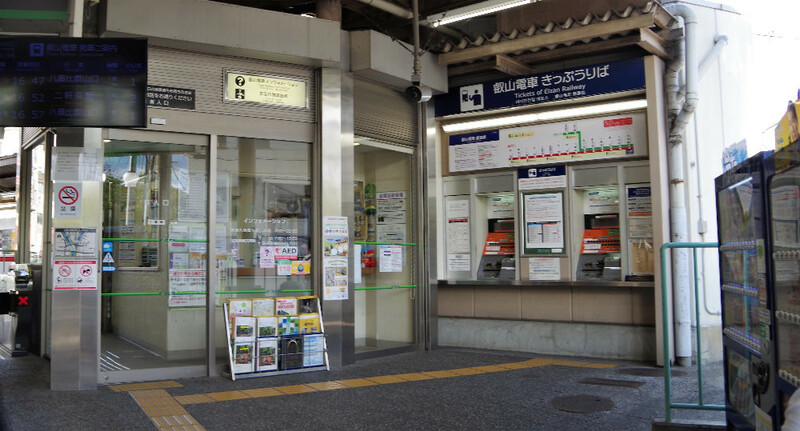 This transfer is easy, as the station is right in front of you once you exit the Keihan station from the north side. 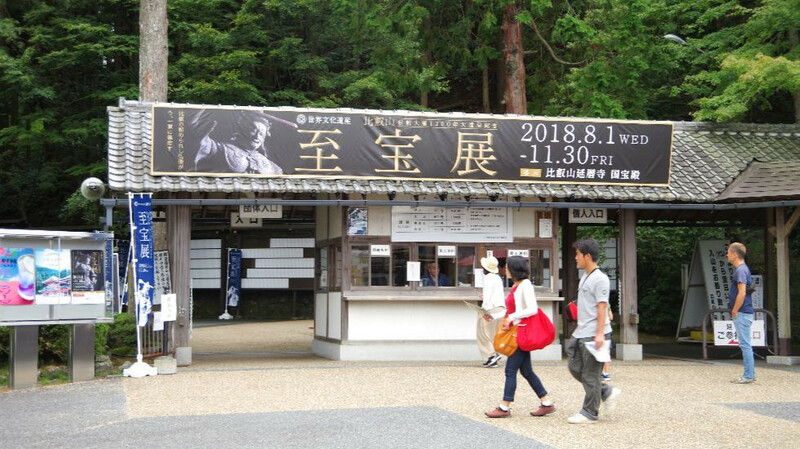 However, don’t buy your ticket from the ticket machines or use your Suica if you want to go to Enryaku-ji Temple – go into the office you can see on the left side of the picture and ask for a ticket to Enryaku-ji – in Japanese called “Hieizan Enryaku-ji Nyuzan Kippu,” meaning entrance to Hieizan Enryaku-ji Temple ticket. 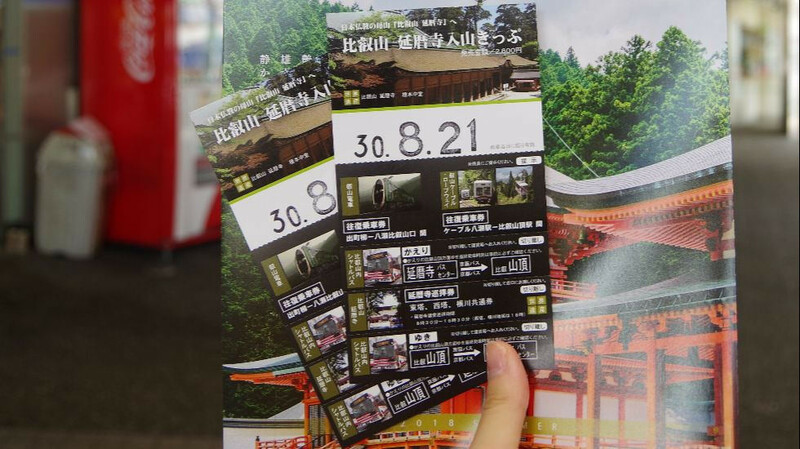 This ticket lets you ride the Eiden tram (round trip 520 yen), cable car (round trip 1080 yen), ropeway (round trip 620 yen), the shuttle bus to Hieizan Bus Center (round trip 320 yen), and also lets you enter the temple itself (normally 700 yen). So by bying this ticket youdon’t need to worry about getting tickets on your way up the mountain, and you also save money, as this ticket costs 2,600 yen, whereas if you don’t get it, you’d have to pay 3,240 yen for the round trip. There is another added bonus to this ticket, but more of that later. 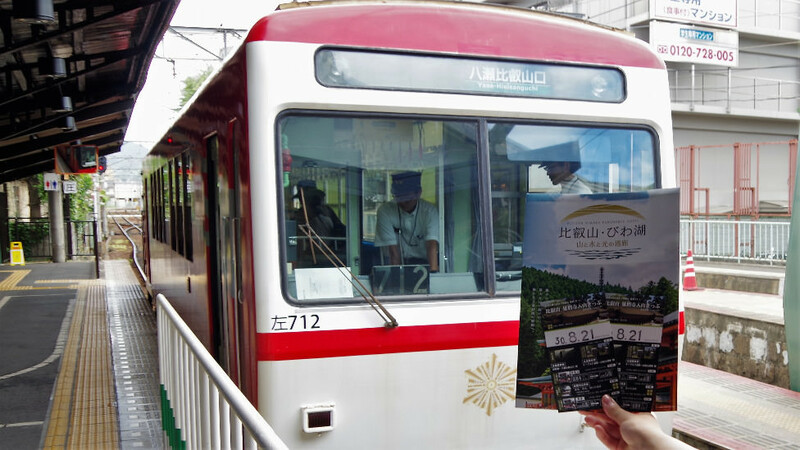 So now that we have our ticket, it’s time to start by taking an Eiden tram that is going toward Yase-Hieizanguchi. The last station of this line, Yase-Hieizanguchi, is where we’re going, so just enjoy the ride. On the way, there is the ramen battleground of Kyoto, Ichijoji area, so on the way back, if you’re feeling hungry, you could enjoy an excellent bowl of ramen there (note that the ticket to Demachiyanagi Station will become invalid if you get off at Ichijoji Station). 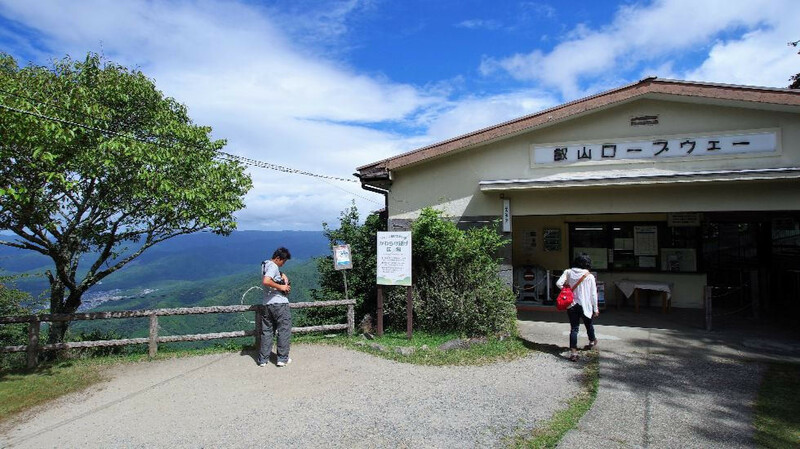 Then at Yase-Hieizanguchi Station, you need to change to the cable car at Yase Station. Between these stations, you also get to cross a beautiful bridge over a small river. The temple Ruriko-in is also close by, but it’s only open in autumn and spring for a short period of time. 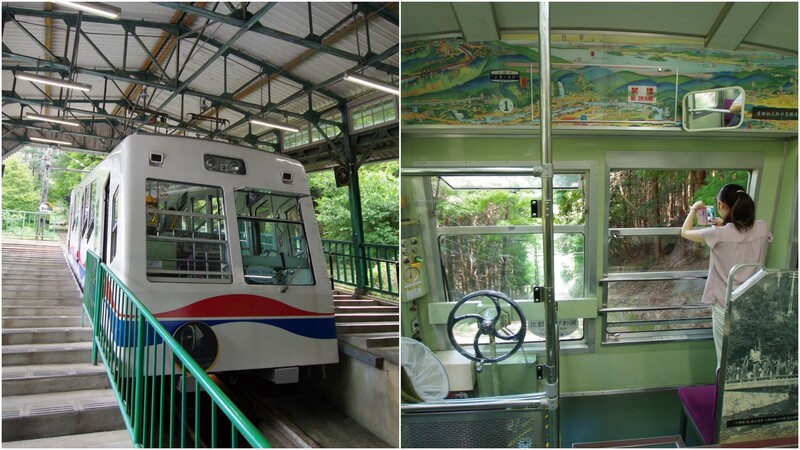 The cable car looks retro, as it should – the cable line began operating here in the Showa period, in year 1925. You even get to hear about the history of the cable car as you take a ride, although the announcement is all in Japanese. Now for the special bonus part of the 2,600 yen “Hieizan Enryaku-ji Nyuzan Kippu” ticket. On the table by the entrance of the ropeway Eizanguchi Station, they have a pile of small ceramic plates. If you have this ticket, you can get three of them for free (show your ticket to the person in charge of the station), and then can try to throw them into the ring on the left side. If your plate goes through the ring, your wishes will become true! Then it’s time to take the ropeway: not an experience recommended for those afraid of heights! The views however are absolutely wonderful, and while the ride lasts just a few minutes, it already makes your trip up the mountain feel worth it. After this, you just have the walk to the bus stop left. It’s about a 5-minute walk there, but there are many signs showing you which way to go, so you shouldn’t get lost. You may have noticed that the weather has changed for the worse, and it did – quickly! So be prepared for a bit of rain when climbing up the mountain, and also notice that the weather up on the mountain is a few degrees lower than in the middle of Kyoto. Then get off at Enryaku-ji Bus Center and you’re at the temple! Show them your ticket at the entrance and they will let you in. 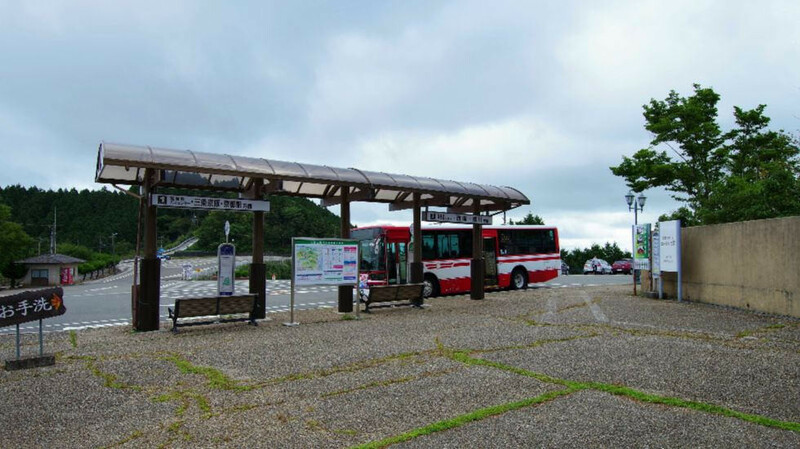 Note that the temple is in three areas on the mountain, but you can take a shuttle bus to travel between them. Note that the 2,600 yen ticket does not cover this part. Note that if you get the 2,600 yen ticket, you also get 20% off at café Reiho at Enryakuji Kaikan, the temple hotel. 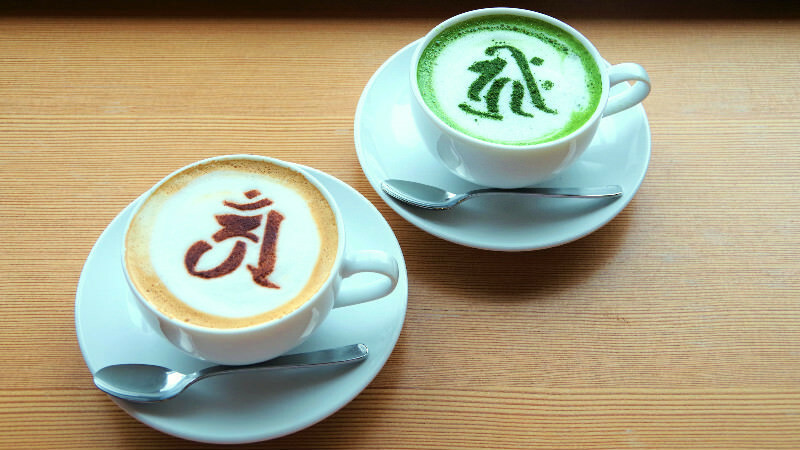 This way you can enjoy these special latte drinks with your Chinese zodiac on them for only 560 yen (normally 700)! On the way down the mountain, we took the time to try throwing the little ceramic plates. Yumemi got one through the loop so her wishes are going to come true! The way up Mt. Hiei was as much fun as seeing the temple, there is just so much you get to experience. 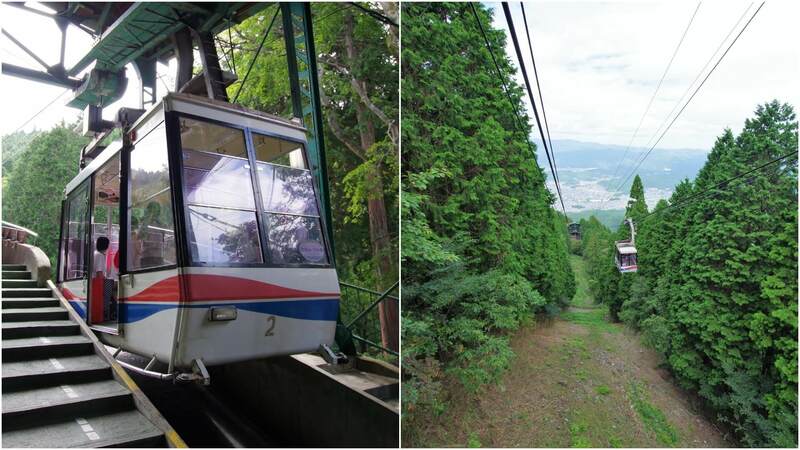 A tram line, cable car, and ropeway, each one more fun than the rest. What really makes it all worth it are the views, they’re just wonderful. Though next time I’d like to hike up the mountain!